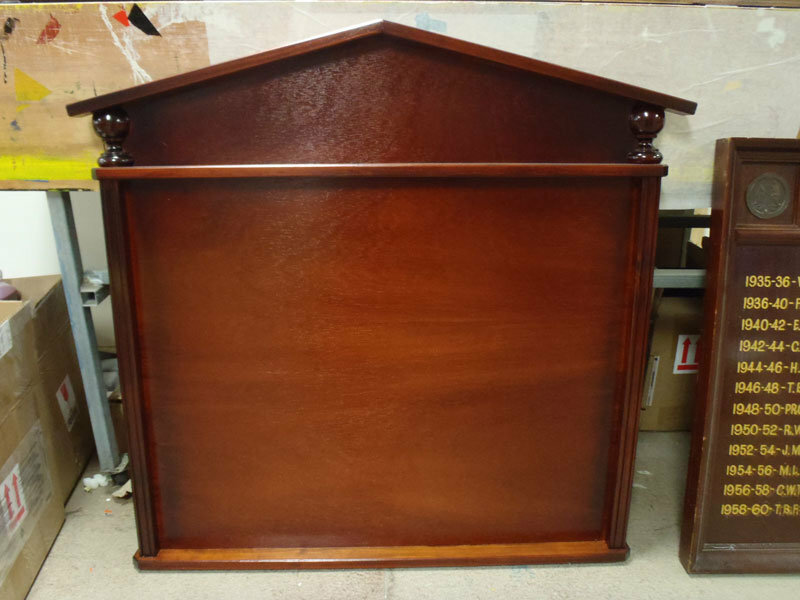 Formal honour board, with Grecian pillars, made from solid timber and stained in 2 separate colours. 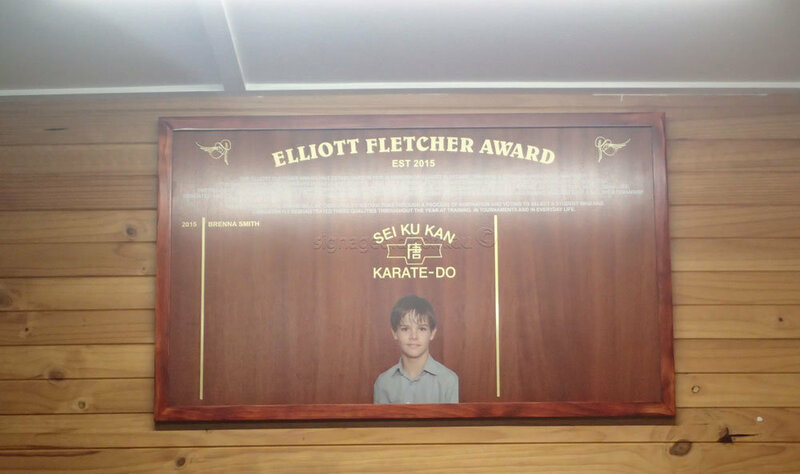 Sign Age are able to make honour boards to suit any budget and requirements whether it be for a corporate office, board room, sports club or school. 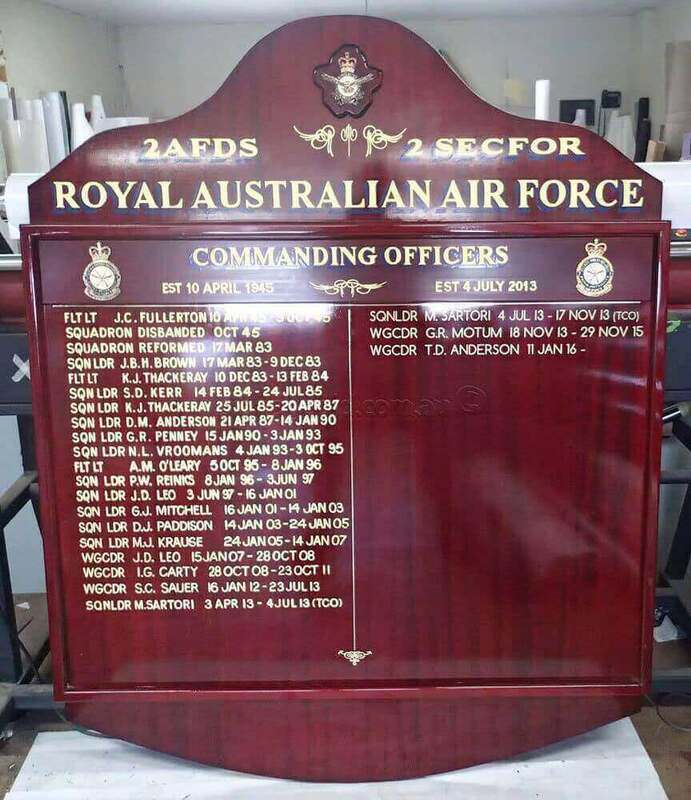 Sign Age custom make honour boards to any size and colour required. We use materials such as Timber, metal, glass and acrylic; our quality and service is second to none. The style depends on the honour board that is required. 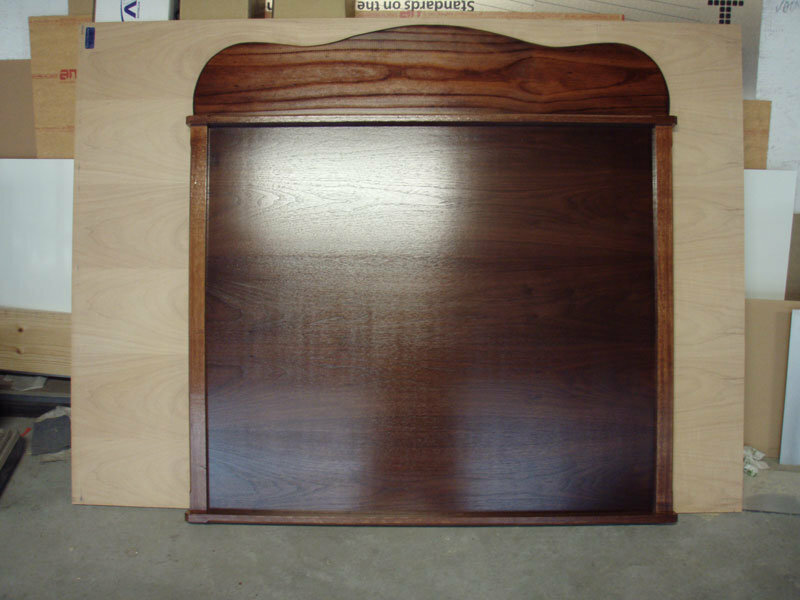 For example traditional honour boards, are normally manufactured from timber, stained and either a gloss or semi-gloss lacquer applied to give the timber that natural lustre. They have either gold leaf lettering or vinyl ‘gold’ lettering – this depends only on your budget. 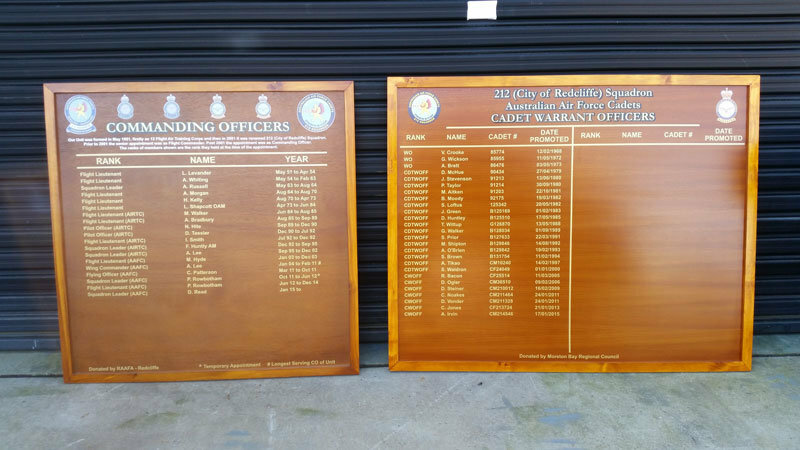 Alternatively Honour Boards can be manufactured from acrylic, glass or composite aluminium. 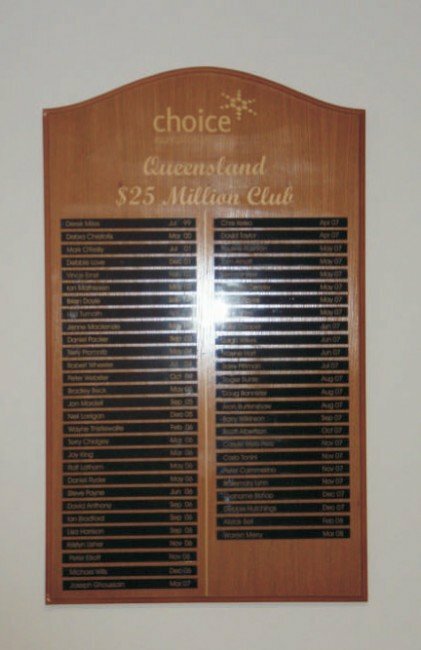 The first decision you need to make prior to ordering your honour board is if you want a traditional or contemporary look and feel. 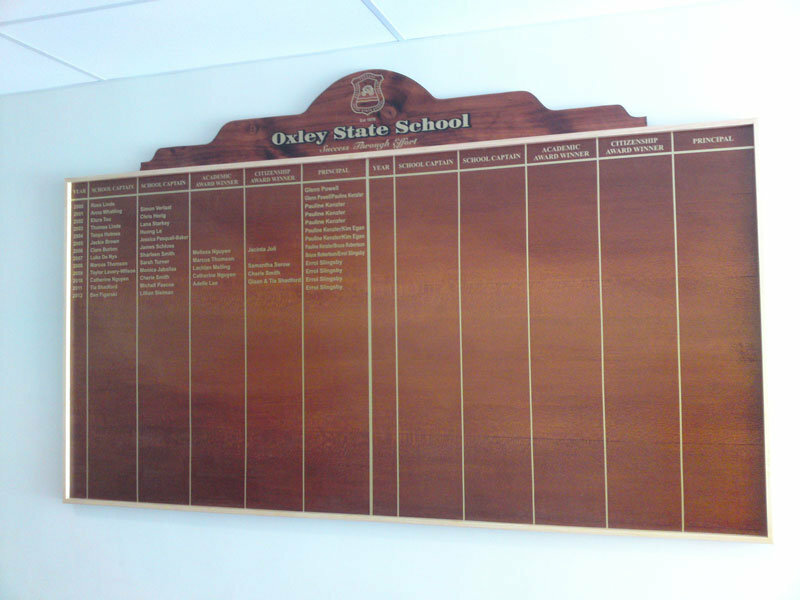 The design can be either formal or informal, although most honour boards are formal in design. Formal design means that everything is ordered and on a centre line. Informal designs are when the layout is balanced with size of objects, rather than on a centre line. 1. Main heading – this incorporates your badge/logo etc. 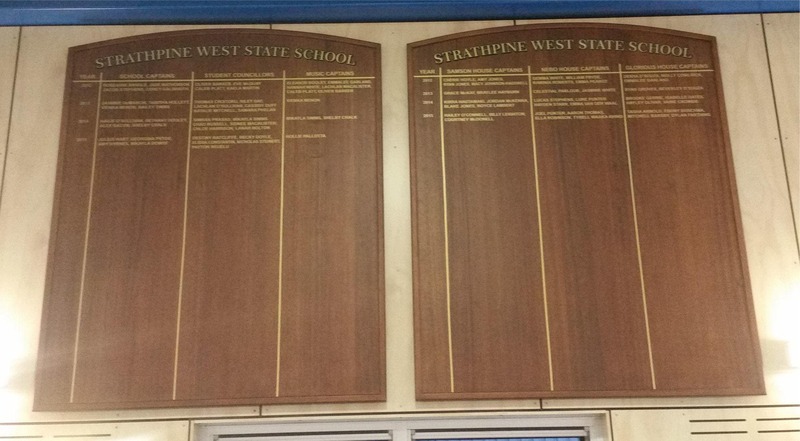 For example Stafford State School, which would include their school crest. 2. Sub heading – what is it is for – i.e. Years, School Captains, Principals, Academic Award, Sports Award etc. 3. List of dates and names. Gold leaf lettering is 24 carat leaf gold, which is applied in the traditional method. This requires the letters to be signwritten in gold size and the 24 carat transfer gold is then applied to the gold size, the excess is then burnished off with cotton wool. The shades and outlines are then added to each individual letter. This style of lettering is not only timeless, but will add a touch of elegance and class to any honour board, you are also guaranteed that this will last lifetimes, indoors. We are still one of the few sign companies, that is skilled in this traditional and time honoured practice of signwriting. This is cut out by an electronic plotter (cutting device) for each individual letter. Each letter is weeded – the background is removed leaving only the letter. Application tape is then applied to the weeded vinyl. This allows the vinyl lettering to be kept in place as words and sentences. 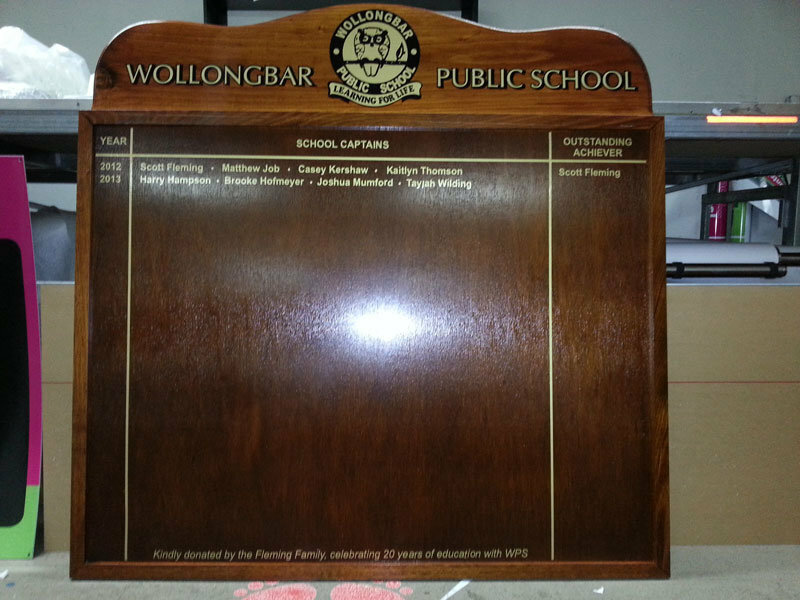 This is then applied to the surface of the honour board. The outlines and shades can then be applied. 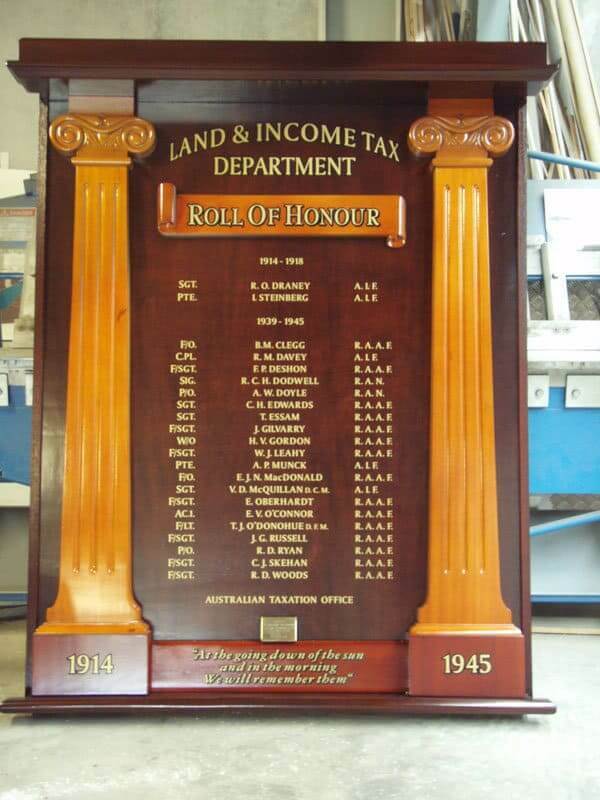 Although there are many different types of fonts, some styles are better than others for honour boards. These include: Times New Roman (bold, normal or italic) – used mostly in traditional honour boards, as this gives the old world charm that these honour boards deserve; Sans Serif and Helvertica (bold, normal or italic) – mostly used in contemporary honour boards, as this gives a less cluttered look, and are generally easier to read. 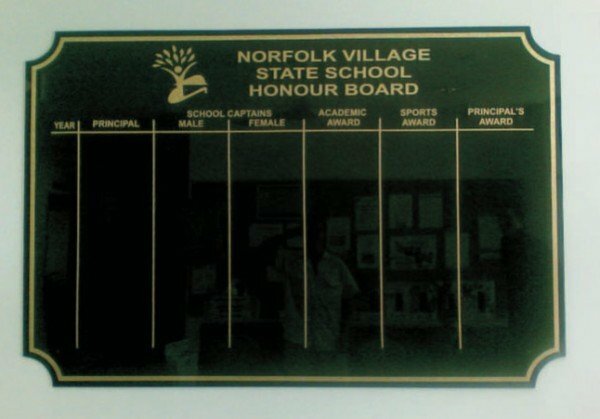 It is best practice to place your Honour Board out of direct sunlight. 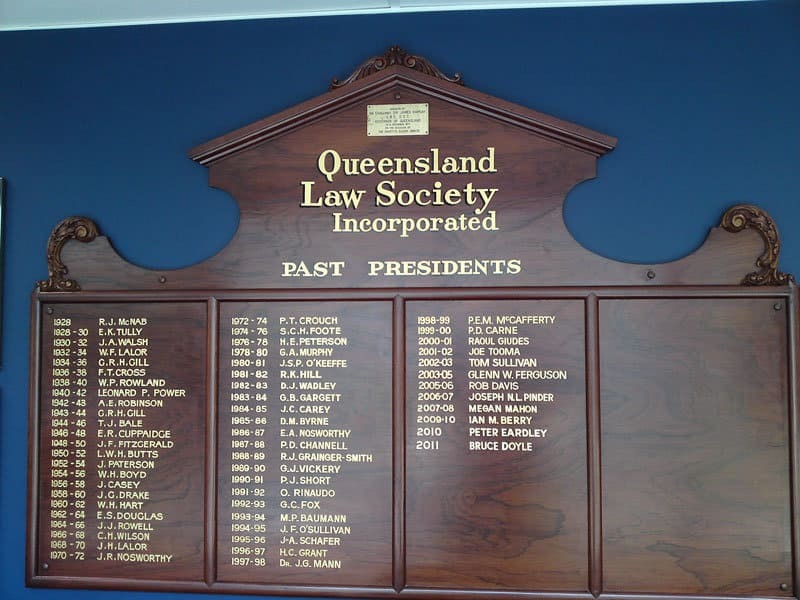 The best way to attach your honour board to the wall is by using a split batten (a piece of timber which is cut at 45 degrees, and half the batten is screwed to the honour board and the other half is screwed to the wall. As honour boards are quite heavy it is advised these are screwed into a stud or something else equally as secure. 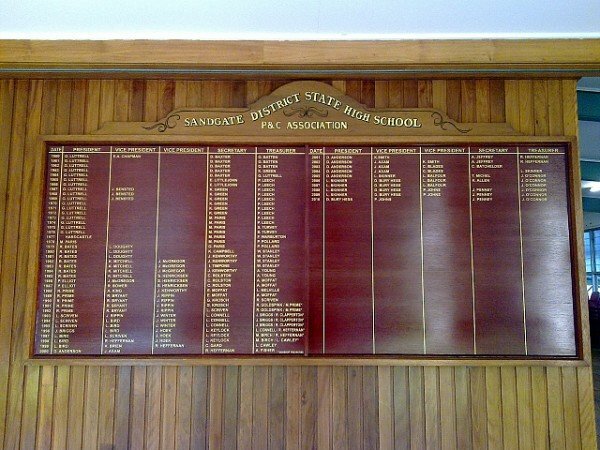 You should never used abrasive materials to clean or dust honour boards. 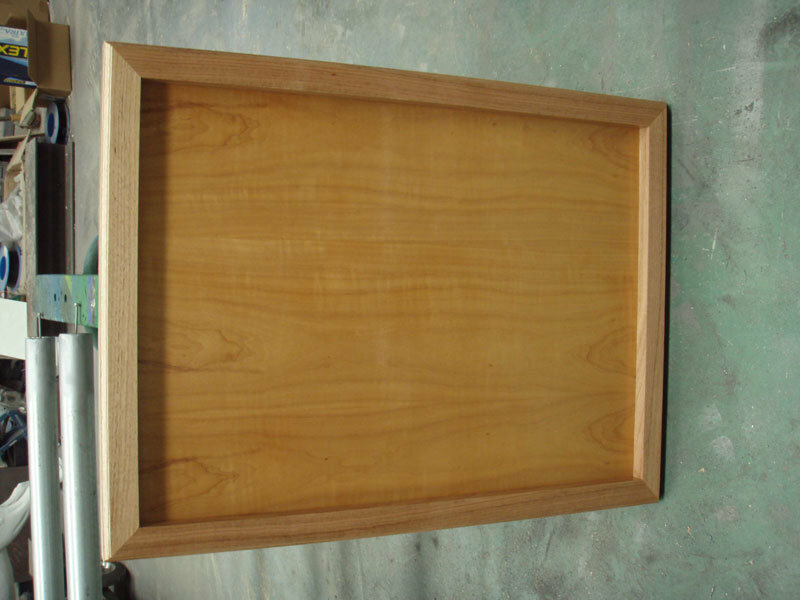 If a board is dusty they can be wiped over with a damp cloth. Cleaning products such as Mr Sheen and Timber Oils should never be used as these contain silicon and other oils which makes updating your board extremely difficult. 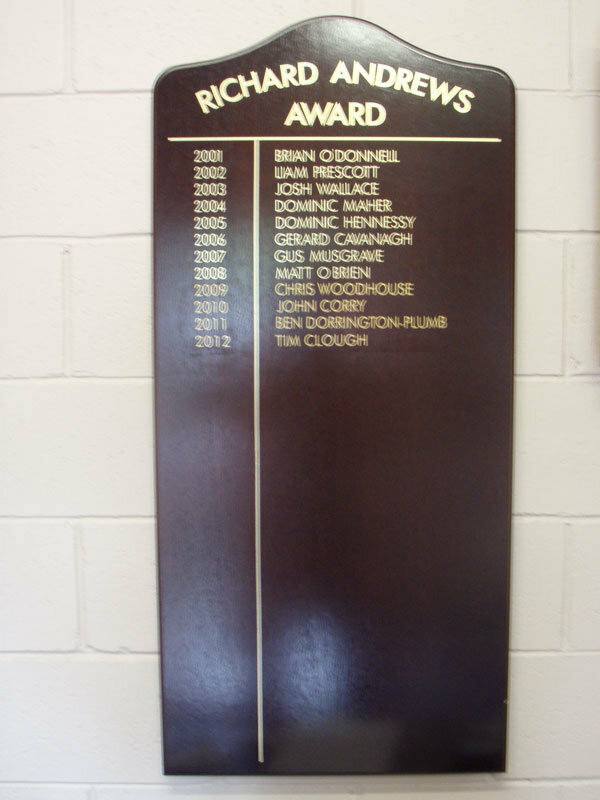 All honour boards can be updated, including gold leaf and vinyl boards. It is recommended that the gold colour is matched to the existing board when it is vinyl. With gold leaf, it should be noted that colour matching is not possible as the gold changes colour with age, due to it being a natural product. 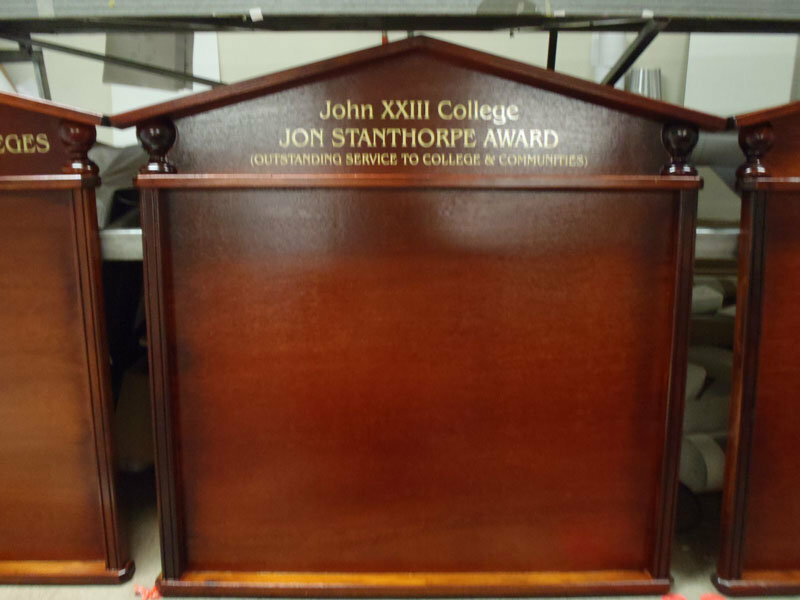 Signage is one the last traditional signwriting companies that manufacture all their honour boards in house.